Presumably after several emotionally animated meetings, all four fictional members of the Gorillaz—2D, Murdoc, Noodle, and Russel—have agreed to put their differences aside and get the band back together. Of course, none of them actually exist, so this comes from Gorillaz artist Jamie Hewlett, who posted a new drawing of Murdoc to his Instagram. 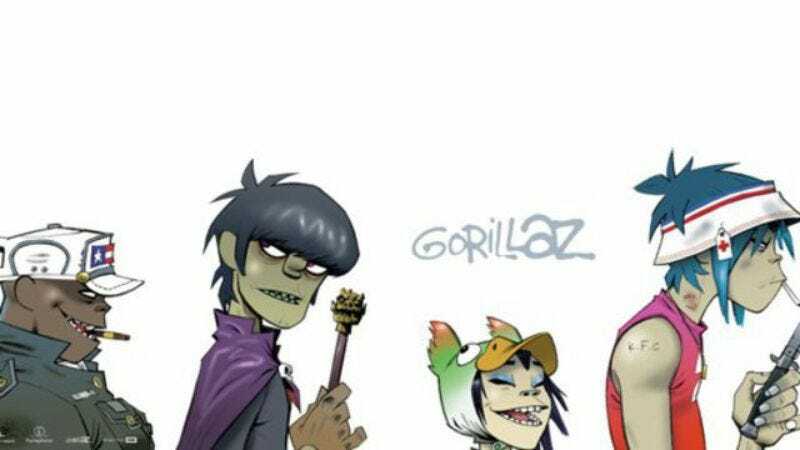 Now, “guy known for drawing thing draws thing” doesn’t necessarily confirm that the Gorillaz are going to be making new music any time soon, but—according to Revolt—Hewlett replied to a comment asking if the band was coming back with, “Yes. Gorillaz Returns.” So that seems to make it official. The Gorillaz haven’t put out any new music since 2011’s “look what we can do with an iPad” collection The Fall. In 2012, Damon Albarn—the guy who does the musical stuff for this cartoon band—suggested that the the Gorillaz were probably finished. The holdup back then was apparently Hewlett, with Albarn saying that his music and Hewlett visuals “were at cross purposes somewhat” on their 2009 album Plastic Beach. With the news of the band apparently reuniting coming from Hewlett, though, it sounds like they’ve patched things up.